Everyone in the VR industry can envision a world in the next 10 years that’s radically changed by virtual reality. From healthcare, education, social, training, cinema, gaming, and more, VR has a lot of Killer Use-cases. But it seems most of the industry is in agreement that the Killer App—a single, platform-defining piece of software that compels buyers—has not yet arrived. 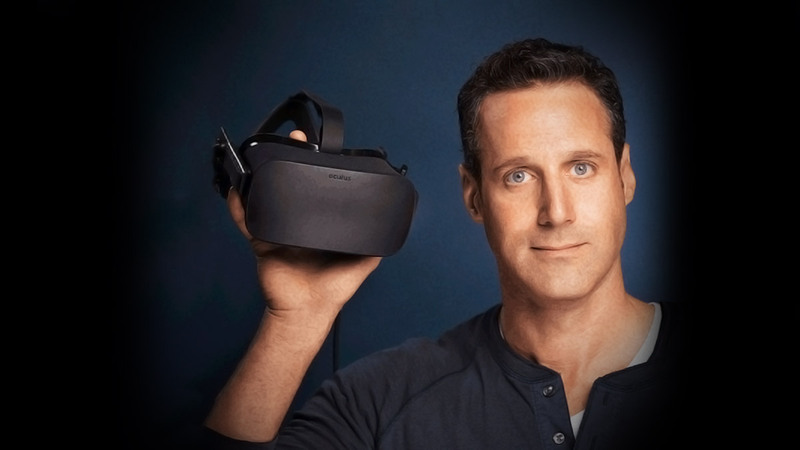 Oculus’ Jason Rubin weighs in on how we might come to find it. 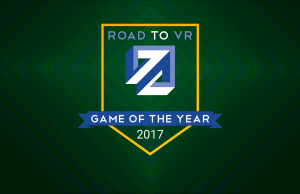 Every day this week leading up to the 2017 Game Developers Conference in San Francisco, we’re featuring insights on the hunt for the killer app from virtual reality’s leading companies. 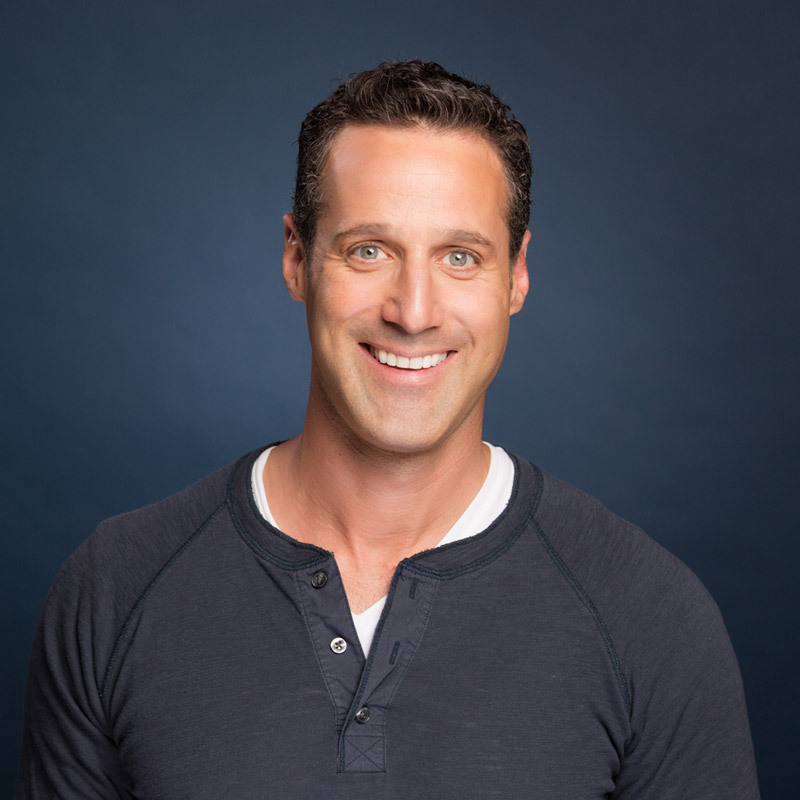 Today we hear from Jason Rubin, Head of Content at Oculus. Rubin is the head of content, the team at Oculus responsible for collaborating with developers to build games and experiences for Rift and Gear VR. A 30-year veteran of game development, Jason was the co-founder of Naughty Dog where he created the hit games Crash Bandicoot and Jak & Daxter. He also co-founded the media mashup tool Flektor, which he sold to Fox Interactive, and was president of THQ Inc. The honest answer to this question is that we won’t know until we have a killer app. 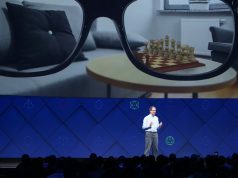 Intuitively, I think the app will be large scale, multi-user or social, and “endless” in the way that World of Warcraft (2004) or a multiplayer game is. 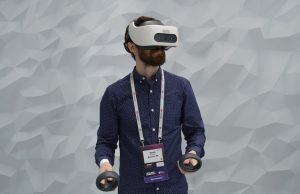 But every single one of those ideas could be dead wrong if a brilliant app figures out some nuance of VR gaming or experience that tickles the fancy of the community without any of those features. Killer apps become killer apps, they are not created to be such. In the PlayStation era, depending on who you ask the killer app was Crash Bandicoot (1996), or Tomb Raider (1996), or Gran Turismo (1997). But I can tell you from personal experience, Naughty Dog never set out to make the killer app, we set out to make the best character action game we could and the community reacted enthusiastically. I am sure the same is true of Halo (2001), or Grand Theft Auto III (2003), or whatever. On PC, I would guess the first killer app will be a game, simply because the audience is mostly made of gamers right now. On mobile, there is a broader mix of experiences and gaming. Face Your Fears (2016) from Turtle Rock continues to amaze us in terms of time spent and retention and is a great example of a surprise hit that we expect to see more of this year and beyond. 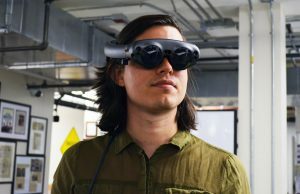 Developers have had VR dev kits for about 2 years now—that’s enough time to create some truly compelling experiences. In game development, it’s enough time to create titles with great depth and polish, although many games take much longer than that. So I think this year is definitely the year that people continue to see experiences that surprise them and bring something new they haven’t seen before. Whether one of those games or experiences ends up being the one that becomes the killer app, we’ll have to wait and see. I would also wager that if we anoint a successful, hardware selling app as “killer” in ’17 then we’ll be replacing it in ’18 with something bigger, in ’19 again, and on and on for quite a while. 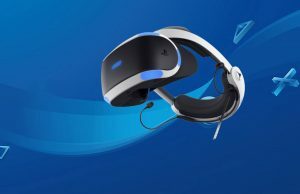 VR is still in its early stages. Winced a little bit when he referred to Crash as a “character action game”. But for anyone who is interested in Crash Bandicoot or videogame development, I always have to recommend this blog. It’s absolutely riveting. It goes in depth inside the creation of Crash Bandicoot and all the different hurdles and fears they had leading up to launch. The best bits are the fears and opinions about Mario 64.
ah, back when people actually did their job and created things. It is a character action game though. For some people character action only applies to DMC, bayonetta etc but it’s not accurate. Would you call PAC man or donkey Kong a character action game? I would call Pac Man an arcade game. I would donkey kong, in all iterations, a platform game. I would call DMC and Bayonetta “character action games”. I would call crash bandicoot a platform game. Up until this very page, I assumed everyone would. I know this is the way a lot of other game journalists and genre fans see things but I must disagree, Arcade is just a platform (score based is a better description), along with ‘character action’ (to separate it from puzzle, turn based or cursor GUI style games). Its no longer helpful to hold onto non scientific / logical definitions otherwise you get into problems where people can’t understand the difference between a main genre (character action) and a sub genre (platformer) like you inadvertently showed in your last comment. Nonsense. You’ve made up a personal definition of “genre” that, while possibly interesting for you personally as a thought exercise, is not the actual origin or definition of a genre. There is nothing “Scientific” about genre. All “genre” defines is “thing that is like another thing”. And that “thing” could be like another “thing” in a nearly infinite number of ways. The only functional use of genre classification is to help someone find similar content to something they already know and like. Crash Bandicoot could be defined by the character and classified as a “mascot game” or classified by the console and called a “playstation game”. It could be classified by the play-style and called a “platform game”. It could be classified by sales numbers and called a “greatest hit”. The number of ways to parse the subject is, again, nearly infinite. But ultimately since, again, the only purpose of genre is to say to someone that a work is similar to another work, does it make functional sense to catagorize Crash Bandicoot as a “character action game” alongside Devil May Cry and Bayonetta, games it share little in common with? Since there is no “scientific method” to any of this, it’s a judgement call. But I would say no. Clearly you understand what classification is and why people use it. Yes its true I ‘have’ made up a personal definition, and its one that purposefully ignores commerce and popular identifiers because I don’t believe they were ever very well though out to begin with (in Western gaming culture). Are my genre tags scientific? I have a hunch they are, just like I know the attribute of being human is a more important tag than the attribute of my eye color or shoulder width. You’re stuck on the superficial tags like whether its targeted at adults / kids, popular opinion, how difficult it is etc, whereas I’m looking at things from a higher level. Agree to disagree. Did they not join a group with Valve and other VR makers, where all things would work on all VR headsets. 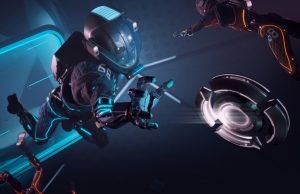 That would mean the only exclusivity is that you have to buy the game on the Oculus store, and then play it on the Vive or any other headset in the future. 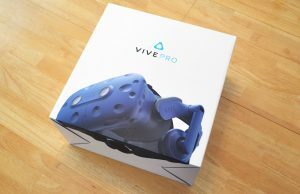 They’re part of the Khronos Group VR standard initiative but that doesn’t mean they won’t continue to buy up exclusivity with the requirement that devs use their proprietary API. It also doesn’t mean they won’t use DRM to prevent the software from working on other HMDs if an API lock-in is no longer sufficient. I believe Oculus has said they won’t reintroduce DRM again but they’ve gone against their word many times before (e.g. even with exclusivity itself). But regardless of whether they intend to take on more consumer friendly business practices in the future, they are going to want to have some say in the standards that the Khronos group lays out. So I don’t think that their participation should be interpreted as a change in the direction of the company–they will want to have some say no matter how things play out over the next few years. As it stands now, all indications point toward them doubling down on exclusivity. With Revive becoming easier and easier to use, I personally think that they will reintroduce DRM. I’m going to mostly ignore your horrific mangling of the English language and focus on your content: Oculus is intentionally keeping Vive users out of their store. Right now, that only means that one of two headsets doesn’t directly work with it. 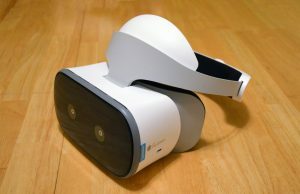 Once LG launches their headset, two out of three won’t work with it. Microsoft has announced four other headsets are coming from various manufacturers. So that’ll be five out of six headsets that won’t work natively on Oculus’ store. How do you think that’s going to shake out in the long run? 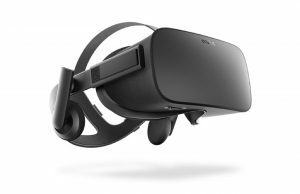 Developers will stop exclusivity agreements due to the low percentage of user sales available, which will lose Oculus its ONLY ace. 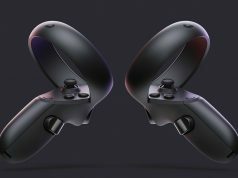 In the end, Oculus will have to support other headsets, or slowly fade away. 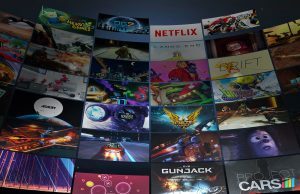 I have no issue with the Oculus store having exclusives. I have an issue with them having exclusives AND an artificial barrier to use. I refuse to use ReVive, except for free games on the store…I’m not going to PAY for something I need a third party hack to run. 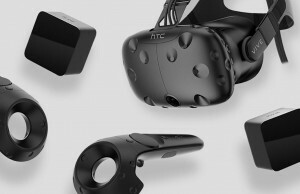 it’s not oculus job to make vive compatible to home that is for htc or value to do oculus job is to make sure their customers can enjoy vr which they do a great job at by allowing 3rd party sdk to work with oculus. 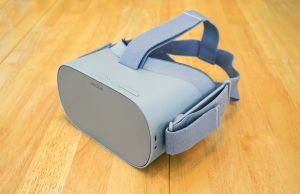 any hmd maker who wants their hmd to work on oculus home can by simply allowing their hmd to work with oculus’s sdk. their exclusivity comes from the fact they are funding the making of these games so if they don’t fund it it doesn’t get made. I’m not convinced there will be a “killer app” for all of VR, but one for each segment…. 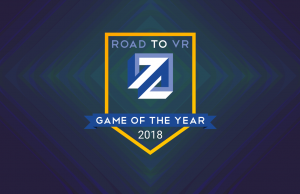 gaming *almost* has one right now already with Arizona Sunshine, and *maybe* Fallout 4 VR… but I see one for Mobile (and maybe PC) for social media emerging at some point which is why Facebook is so interested in the idea. Other segments would be engineering, back office, and medical… not to mention multimedia. I think rather than one app, we will see a variety spread across the segments of interest…. There may not be a killer app but there will probably be one in the vein of Halo or Gears for Xbox, I think early on Final Fantasy was a big PlayStation game. Or Mario for NES. What do you think of Rec Room, Schwifty? 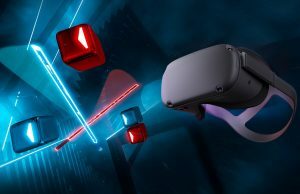 I remember some articles a while back stating it as VR’s “killer app”, but I’d like to hear your opinion on it. 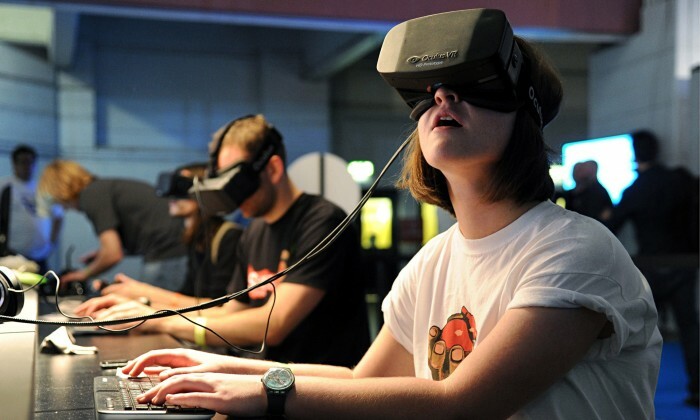 Oculus has not positioned itself well to make VRs first killer app. 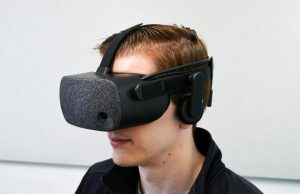 I hate to bring up roomscale because of the controversy it engenders among Rift owners but it currently represents the pinnacle of VR innovation and its likely the first killer app will use this technology. 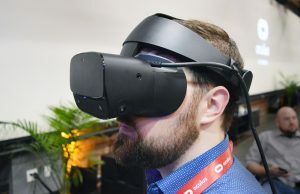 Due to system capabilities its not clear that Oculus, Sony, or mobile can make anything that couldn’t be improved upon very quickly by in some way incorporating roomscale. for me the killer app so far for VR is elite dangerous and DCS world ! All I want to hear is that he offered a truckload of money to Sega/Creative Assembly for a comprehensive VR overhaul of Alien: Isolation, and that it’s coming. how many people bought a console because of a game? i always thought that it doesnt work that way. when people buy a tv set, do they buy it to watch a certain show? or do they buy it because they think there are a bunch of shows, idk what i want to watch but i will find something. a console is similar in that there arent many use cases. and then you realize that there are only a hand full of really good games out there and you end up buying them. No one called it an interview except for you ; ). This is part of a broad survey of the feelings about the concept of a killer app for VR across those pushing VR from within leading technology companies. See the bottom of the article for more in this series. There’s more to come too. Don’t support Oculus Google Oculus Trump for more info.